Rondela | Zonyxa. Unique and contemporary jewellery for Work. Love. Play. 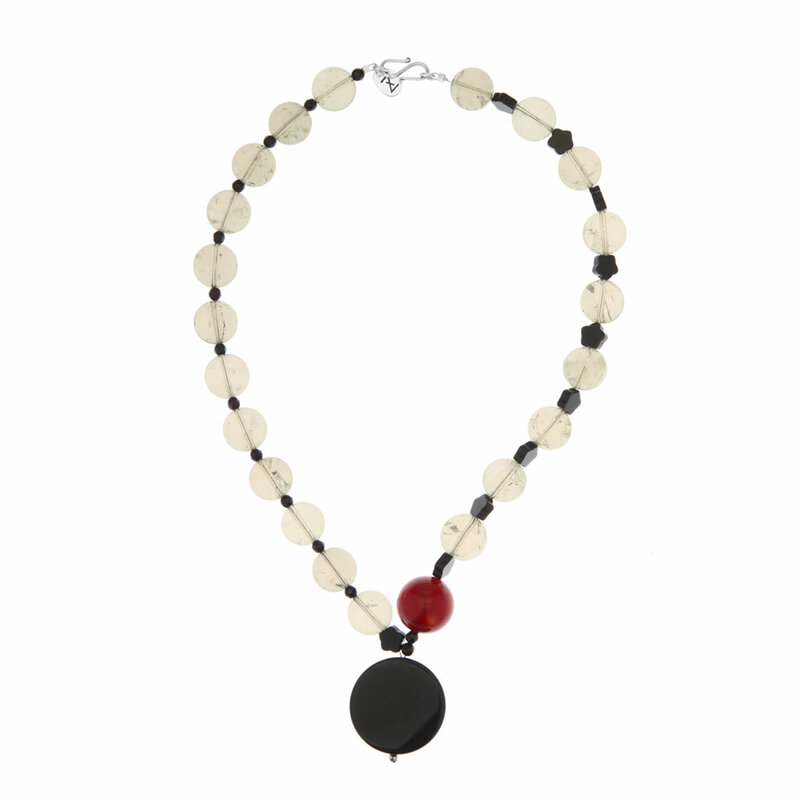 Glistening balls of rutile quartz interspersed with flowers and mini balls of onyx provide the setting for finishing touch of coral and a polished black onyx pendant disc. Superbly smooth and cool against the skin. Materials: Onyx, coral and rutile quartz.